California has been on the forefront of clean technology for many years. Because of its special pollution problems, the 1963 Clean Air Act gave it the right to develop its own, stricter air quality standards. California has since played key roles in the movements towards unleaded gasoline, the catalytic converter, and restricting greenhouse gas emissions. It has made many improvements over the last 50 years, however to this day 8 of 10 Californians, 32 million people, live in counties with unhealthy levels of ozone or particulate matter. California also leads the country in developing renewable energy – 30% of California’s electricity is produced renewably, nearly double the US average. Governor Brown has stated that he wants California to be 50% renewable by 2030. This will only be achieved by addressing all of the main contributors of carbon dioxide – electricity, transportation, industry, and residential/commercial. Cars and trucks are a good target for reducing carbon – they produce 80% of transportation-associated carbon emissions. Perhaps the most exciting recent development within transportation is the broad availability of electric vehicles (EVs). Besides being fun to drive, they can be far more environmentally friendly than vehicles with internal combustion engines. With the advent of solar, wind, and natural gas as sources of electricity, the carbon footprint of EVs will only become smaller with time. The question is gradually shifting from if EVs will be the standard, to when they will be. In line with Governor Brown’s proposal, LA’s Mayor Garcetti put forth a commitment to reduce greenhouse gas emissions to 45% of 1990 levels by 2025. Meeting this goal will require careful organization and a full analysis of all forms of transportation. Part of the Mayor’s plan involves ensuring that LA’s municipal fleet annual light-duty vehicle purchase will be predominately electric. While the motivation to transition to EVs is environmental, the decision will ultimately come down to economics. If there isn’t a vehicle on the market that is capable of meeting the city’s needs, then there is no way to make such an ambitious plan work. The two most important factors for such a vehicle are total cost of ownership (how much the car costs over its entire lifetime), and driving range (battery range). The average total cost of ownership for a conventional car includes the cost of gasoline and maintenance over the lifetime of the car. Interestingly, because of the complications involved in hybrid cars, they have a similar total cost. However, EVs do not need oil changes as they don’t have combustion engines, and are generally less expensive to own. The current total average cost of ownership for the Nissan Leaf, for example, is around $10,000 less than the average conventional or hybrid car. That amount of savings adds up fairly fast when you have hundreds of cars. The bottom line is that EVs are already cheaper to own than conventional cars even without the $7,500 federal tax credit, but what about their battery range? LA has a number of municipal fleet hubs – regional centers where the cars are permanently housed – already reducing the need for longer distance travel. Even the first generation Nissan Leaf, with its 80-mile range, would probably be able to replace a large percentage of the cars in the current fleet. The fleet does not need to be entirely electric from the beginning, and over time, investments in battery technology by companies like Tesla will likely continue to increase battery range. Eventually, the subset of cars that needs to travel long distances can be replaced with EVs. While cost and performance are important aspects on their own, it wouldn’t make fiscal sense to suddenly get rid of a fleet of functional vehicles in favor of new, more efficient ones. It makes sense to prioritize replacing older, more maintenance-intensive cars first. As this transition progresses, the fleet will get less expensive to operate, safer, and greener. Each purchasing cycle will see the replacement of the old with the new. 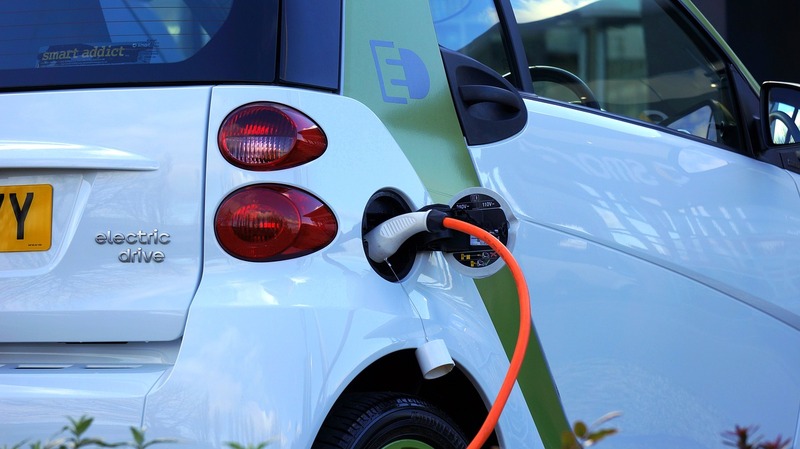 This process will take several years, however it will have the advantage of providing enough time for cheaper and longer-range EVs to enter the market. Other sections within the city government are already deciding to go green. The Los Angeles Police Department recently added many EVs to their fleet, bringing their total to 168 battery-powered vehicles. In addition, LA recently passed its goal of having 1,000 publicly available EV charging stations. In the case of Electric vehicles, as with most new technology, implementation is just as important as innovation. Infrastructure doesn’t change overnight. While it may not be possible to convert all conventional cars to EVs immediately, a transition plan makes the future more tangible. In the case of electric vehicles, as with most new technology, implementation is just as important as innovation. Los Angeles has plans in place, and the change is happening.